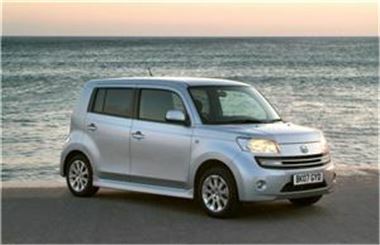 People looking for new car buying advice could find that the new Terios Kiri special edition from Daihatsu solves their quandary. The automobile manufacturer has released 250 units for £13,985 on-the-road, only £90 more than the £12,995 charged for the original Terios 1.5 S.
Features of the new car include five-spoke alloy wheels, a hard spare wheel cover and a paintjob in a unique metallic green colour. Motorists who like to stay environmentally-friendly could find the vehicle's emissions attractive, at 185g CO2 per km, potentially saving them on their car insurance policy if cover firms decide to reward their eco-conscious stance. "The award-winning Terios range has a high standard specification which includes air-conditioning, power-steering ... and full-time four-wheel drive with electronic centre diff-lock," said the company. Daihatsu's new Materia family vehicle has received a favourable review from the Times. The newspaper stated that the model "pushes the parameters of standard car design". If you want to know how to find the best for your car insurance, finance or warranty click here.